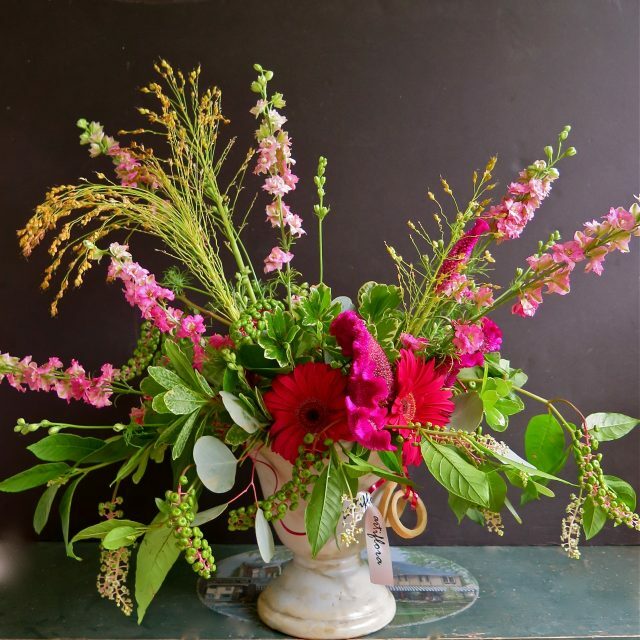 Artistic floral designs for home, work or events. Based in Granville, Ohio. 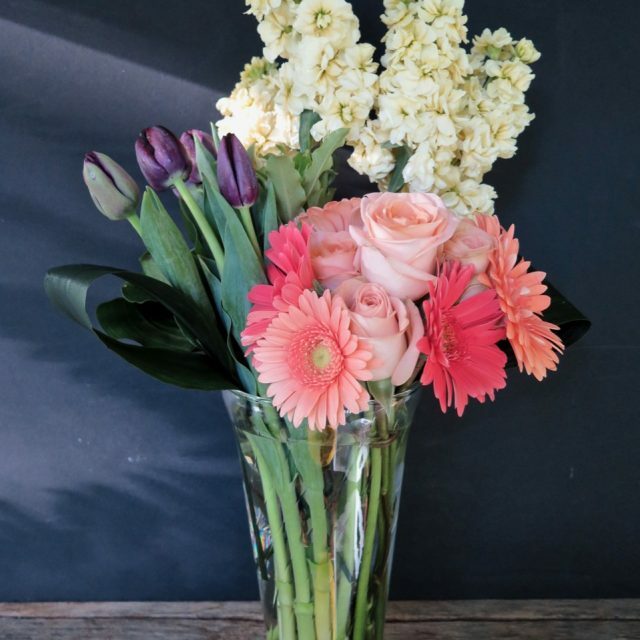 Treat your student or friend to our artistic floral designs for birthdays, achievements, or just because. The Artiflora Studio is located just down the hill from campus and delivers daily. An Artiflora wedding is a distinctive, artistic event. We will work together on all the floral details to make your wedding beautifully romantic. And unforgettable. The bouquet shown here is an Artiflora original, a signature design. Its asymmetrical design is built in the hand using European design techniques. The beauty of each bouquet extends from flower top to swirling-stem bottom when visible in clear glass. Every design out of the Studio carries a silver satin signature ribbon. Bouquets start at $48. 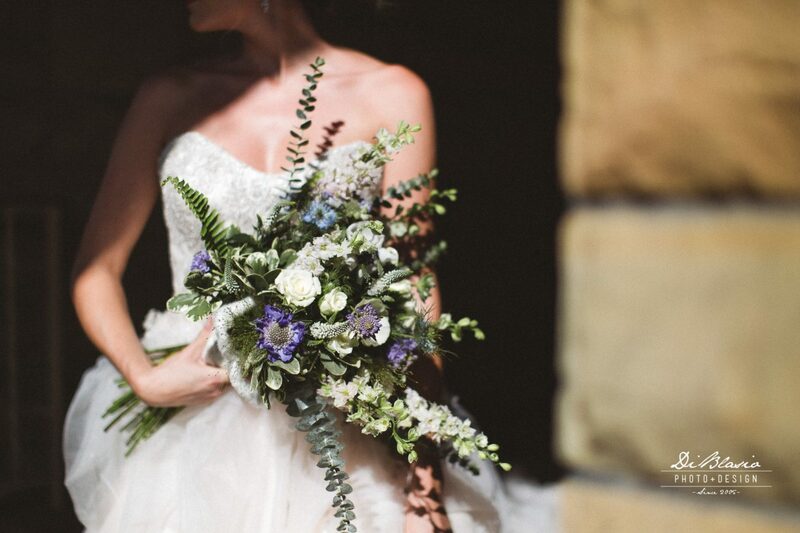 Signature bouquets begin at $75. Expect higher prices on Valentine’s Day and Mother’s Day. Whether the container is a glass vase, silver bowl, ceramic cube, or chunk of wood, Studio Artiflora’s table designs are original and always distinctive. Perfect for special events, holiday dinners, or just to brighten your home or office. Order a signature floral design and see for yourself! Every design is signed with a silver satin signature ribbon and a photo is sent to you. Studio Artiflora specializes in highly personalized not-so-big weddings. 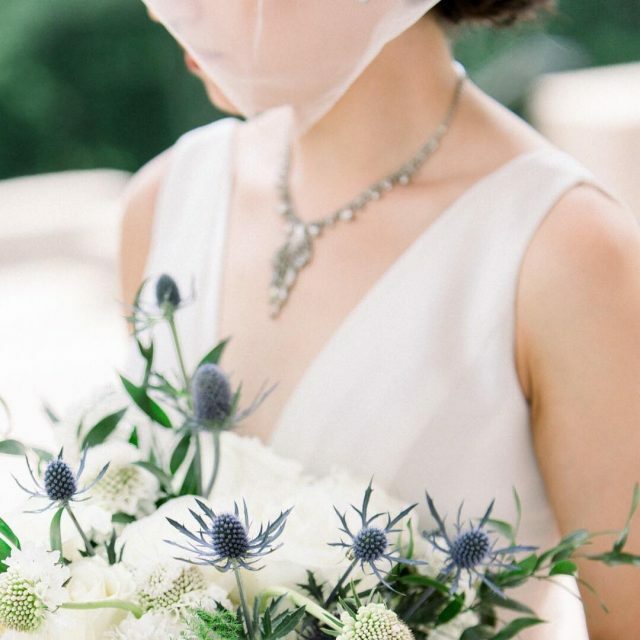 An Artiflora wedding is a distinctive, artistic event beginning with the bridal bouquet — the centerpiece of a gorgeous wedding. An Artiflora wedding is made to fit. 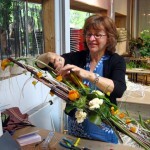 Owner Evelyn Frolking’s home-based floral design studio is located in the heart of historic Granville, Ohio, and in 2019 celebrates its 15th year. 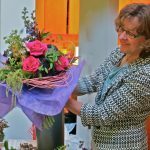 What makes Studio Artiflora special?